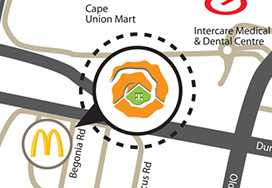 SONTYGER GUEST HOUSE is centrally situated in the Northern suburbs of Cape Town with easy access to the N1 national highway and 16km from Cape Town International Airport. Come and Book, take a seat and relax after a long journey on the road. You deserve it. Relax a bit before booking yourself into the Sontyger Guesthouse. Time to work on your tan next to the pool. Come and take a load off and soak up some sun this summer at Sontyger Guesthouse. Summer is finally here and it's time to socialise and have fun in the sun. Enjoy a "Braai" among friends. Take a break from the everyday worries and come take a load of at Sontyger Guesthouse. 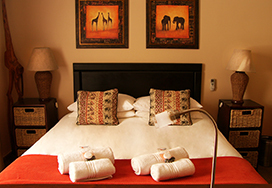 Each room is individually styled according to different themes. A lot of effort and attention to detail ensure quality of service and comfort to our guests. Our delicious breakfast is popular among guests. 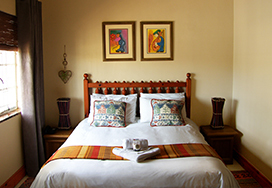 SONTYGER GUEST HOUSE is situated in a main stream central area. Shopping and dining are merely a leisurely stroll away.